I’m exceedingly grateful when whisky samples wind their way to me. Usually it is via friends and family. Occasionally it comes from the #whiskyfabric of fellow whisky explorers not otherwise known live and in person. However, I’ve learned the storage container makes a BIG difference in keeping the quality of the sample… particularly if you don’t plan to try it immediately. Here’s a few things I’ve learned the hard way, in hopes it will help you avoid whisky tragedies!! Never, ever store in a bottle that held anything pungent. Best is to use fresh, clean, new bottles. Where that isn’t possible, use an empty whisky miniature bottle that has been thoroughly cleaned and properly dried. My aunt and uncle generously shared samples in properly cleaned baby food jars. It seemed like a good idea however as these were large, we transferred them into mini jam jars. Do yourself a favour – don’t ever do what we did!! Something terrible happened… in Mumbai conditions, the rubber odours ooze into the whisky, rust spots even appeared on the lids?! Any whisky in such sub-optimal storage used to transport should be either consumed as soon as you reach your destination or immediately transferred. 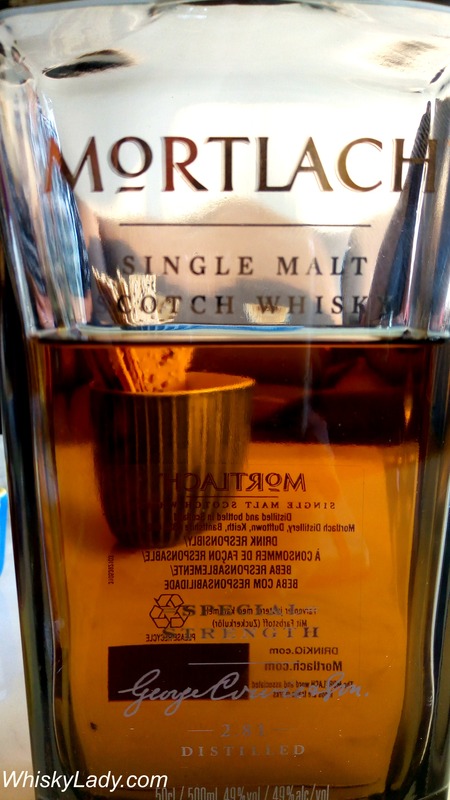 Just as you don’t want contamination from rubber, plastic too can give off unwanted aromas, negatively impacting your lovely whisky… I even found one type that seemed promising, but the plastic had a tendency to crack!? Similarly those lovely old mini whisky bottles you think you can re-use? Be vigilant! One tiny sign of rust in the cap and it is a “no go”!!! If buying new, which is best for you? Yes… I know buying new bottles can be surprisingly expensive, but get the right style and it is completely worth it! 50 ml – The standard whisky miniature style works well to share with 1 or 2 others… There is a reason it has a narrow long top – it helps reduce that pesky oxidation. 20 ml – If just for you to sniff, sip and savour solo or you have limited space, you’d be surprised how much you can get from these bottles. 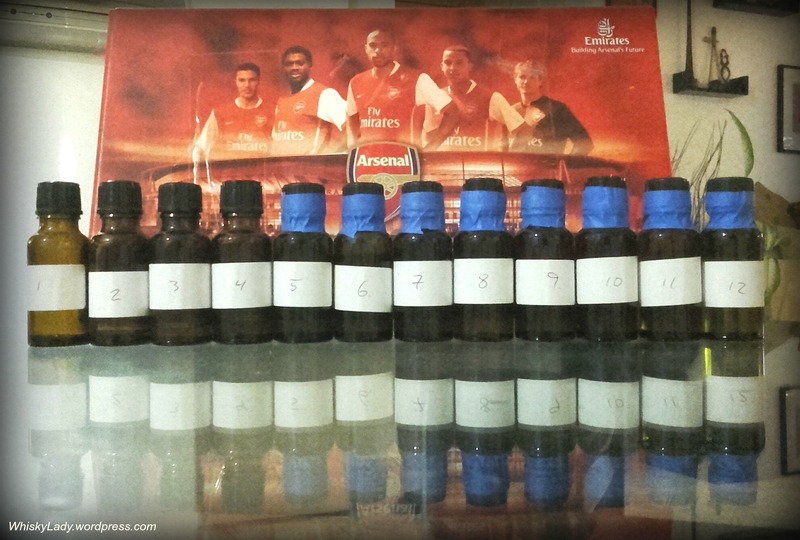 All of our Nordic samples came in such a tiny but powerful packages. All labels/pens are not created equally! So you you’ve put the whisky in its new container, then what?? Sticky labels can be a handy way to slap on a new moniker… however be sure it is of a higher quality as I’ve had a few disintegrate if a bit of liquid accidentally comes on it. As for the pen? Permanent marker please! Or at a minimum, a permanent pen. I’ve had a few mystery malts thanks to the ink blurring beyond comprehension. Finally, while I’ve been focused on smaller samples, what about those large 700 ml or 1 L bottles? Do you leave them alone or do something? Depending on how long you plan to store, it can be smart to transfer your whisky into the clean old bottle that best fits the quantity remaining… and don’t forget to label the bottle! Naturally I’m sure most folks will say the simplest solution is just to drink the stuff! You aren’t wrong. Another solution for a freshly opened bottle is to take some of those sample bottles, fill, label and share, then either use a vacu vin or transfer the balance into a smaller bottle if you plan to store for some time. Because as good as it is to get whisky, it is nice to give back too! 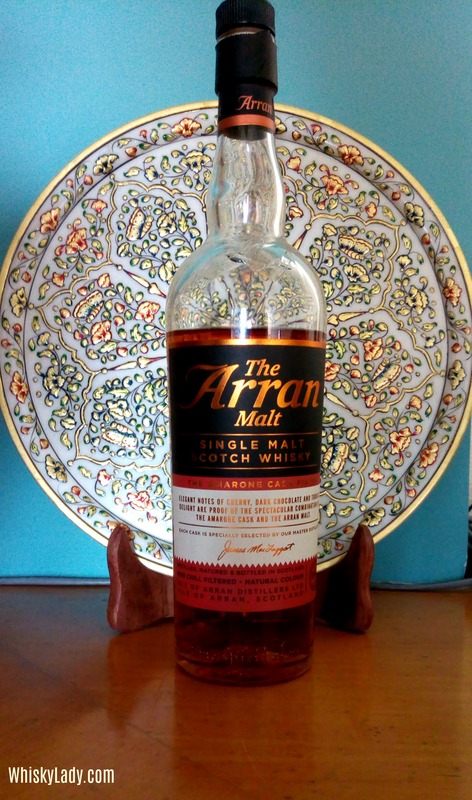 Tasting Tip for Asia – How to cool your whisky! Whisky palate cleansers or pleasers? 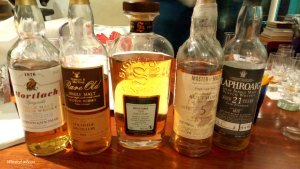 While most of my posts are filled with tasting notes of various whiskies explored, I must disclose the observations are typically an amalgam of several palates as the drams are shared and discussed as part of whisky clubs of informal sessions with friends. I value the different reactions to what we try and recognize our perceptions of a whisky’s aroma and taste is inextricably linked to associated memories of distinctive yet familiar smells and flavours. Hence you will often find my tasting notes peppered with references that are both common to say North America and equally India. This is simply a part of the duality of my life – hailing originally from Canada but living long term in India. Our cultural and culinary context influences our interpretation of a whisky. For the most part, palate preferences are specific to an individual. Some love deep dark rich sherry drams, others long for the curl of peat, some prefer fruity and others saltier fare… for many, like me, preferences are context and mood dependent. My preferences have also shifted significantly over the years as I’ve gained exposure into different styles and the extraordinary range the world of whisky has to offer. So why then was I so surprised at our last Whisky Ladies session? Where there was a very clear distinction between the reaction of those whose origins are outside of India vs those whose origins are within? It was our first and only time where there was such a divide – sure we have different reactions and different opinions. That’s a huge part of the fun of tasting together! But not so diametrically opposed along lines of origins. And what was the controversial whisky that provoked such a reaction? The Aultmore 5 year 66.8% Master of Malt which was first sampled as part of an exception evening of “Dream Drams” with India’s Malt Maniac Krishna Nakula. So what was the distinction? Well… those originally from India found it just too much alcohol and simply didn’t care for it at all… in short found it nearly undrinkable. And those originally from outside India who have adopted India as home? Could go past the high alcohol strength to find interesting elements… in short found it drinkable. While perhaps not a 1st choice, certainly not a last one. It was awkward to have such a peculiar palate divide and strange to have origins so firmly come into play. However, our best discovery of the evening? The cask strength Aultmore goes brilliantly with our host’s home made banana bread! Just as we discovered those notes in the whisky, like magic – out came one of the best banana breads I’ve had in literally years! Good baking and whisky – fabulous combination! And a great close to our sampling session. What else did we taste in our Whisky Ladies “Worthy Whiskies” Sunday Sundowner? As Whisky Ladies, we have started to explore cask finishes beyond the standard with a cognac cask Port Charlotte 2007 CC:01 8 years and Brenne Estate Cask 40%, pinot noire with AWA Pinot Noire 42%, rum with Mackmyra, port with Kavalan Concertmaster Port Cask. This was our first foray with an Amarone cask finish. Amarone is rich Italian dry red wine made from partially dried grapes of the Corvina (45–95%), Rondinella (5–30%) and other red grape varieties (up to 25%). In Italian, the name Amarone literally means “the Great Bitter” as this helped distinguish it from the Recioto produced in the same region, which is sweeter in taste. Normally we don’t remark much on colour however in this case we couldn’t help but observe how attractive this whisky is with its pink rose hue. It was also absolutely perfect for a Sunday Sundowner – refreshing and delightful, sophisticated and utterly enjoyable. In short – it was dangerously drinkable. For many, this was the by far the preferred whisky of the evening… as it was just a perfect pick for the setting watching the sunset dip beyond the horizon of the Arabian sea. 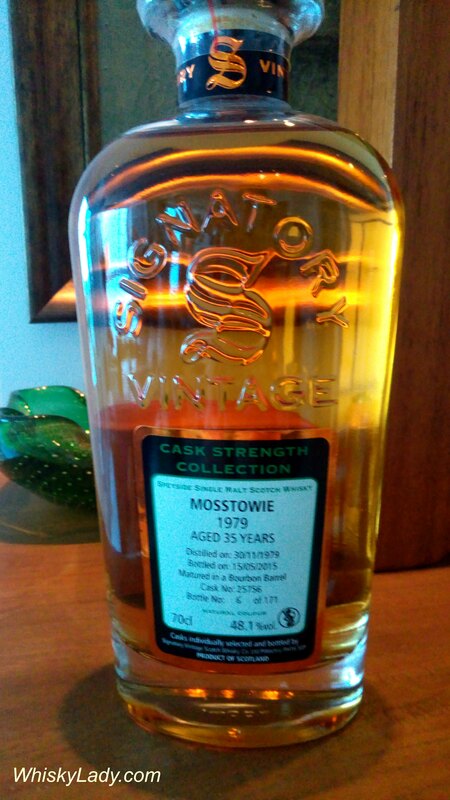 It also very much falls into the category of whiskies that are not impossible to track down and reasonably affordable. While I’m not sure where our Whisky Lady picked it up in the UK, it is available from both Master of Malt & The Whisky Exchange for approximately $60. Believe it or not, I first spotted and coveted it in Winnipeg, Canada at the local liquor store! I’d like to let you into a little secret, there is a reasonably reliable way to reduce oxidation…. It is a trick borrowed from the world of wine, intended for use over short periods of time. The principle is simple – a vacuum pump extracts air from the open bottle to re-seal with a rubber stopper. A “click” sound tells you when you have reached the optimum vacuum level. The vacuum slows down the oxidation process which makes it possible to enjoy your wine again at a later date. It may have been opened 1.5 years, yet when we re-cracked open the bottle after our Dream Drams with Malt Maniac Krishna Nakula, it gave us a most rewarding gift – a burst of delicious aromas of sweet ham, bacon glazed with maple syrup, black forest ham, tobacco on the palate and a lovely long finish. After this “proof of concept” many of those attending the evening went out an ordered vacu vin‘s in hope of preserving the quality of their precious drams, reducing the effects of oxidation. 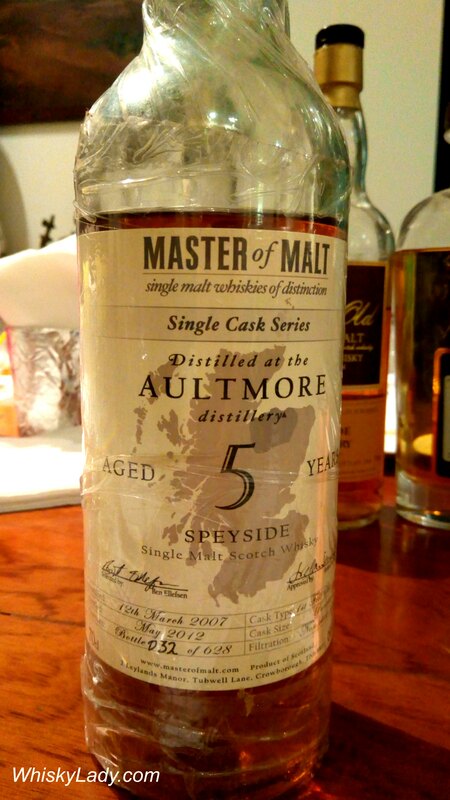 Including one more from our Dream Drams evening, the Aultmore 5 year whose cork cracked! PS – I got my vacu vin through Amazon… and no this isn’t a paid plug!!! 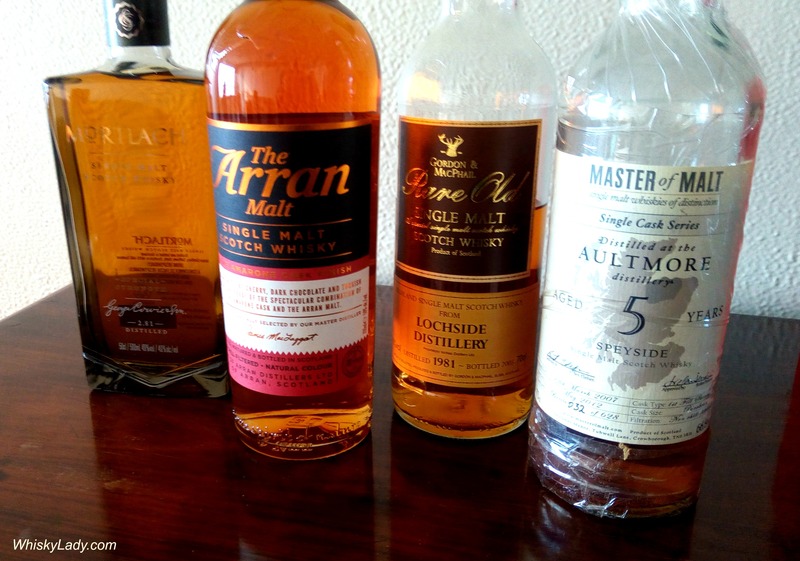 Master of Malt for years has been my ‘go to’ online source when searching for just a little bit more about a particular whisky – including an idea of price! Overall we found the complexity and range of elements remarkable for such a young dram – particularly given its high strength. Krishna kindly gifted this bottle to me so that the Whisky Ladies could try it in an upcoming session. 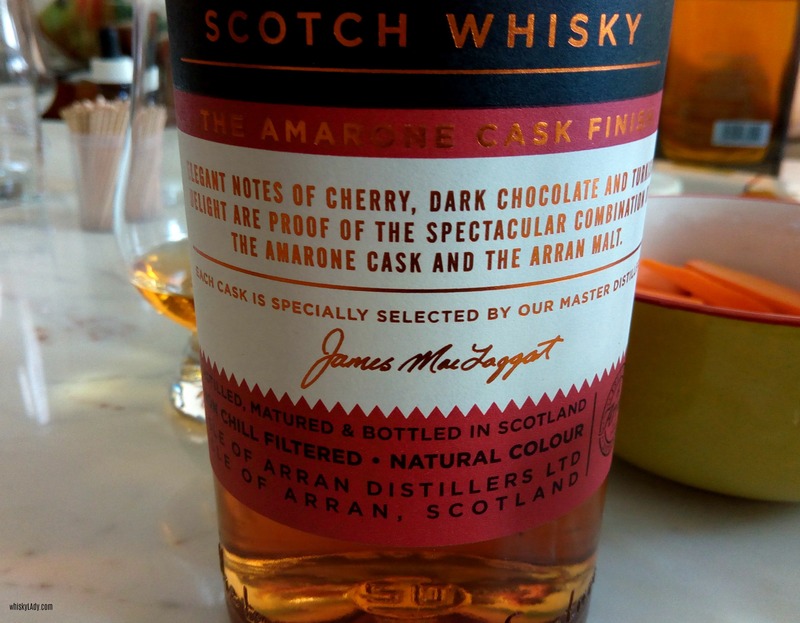 As I prepared to write this post, I was tempted to do a small pour to revisit… and gave in… All elements were consistent with what we found earlier, with the sherry quality even more pronounced. What I hadn’t observed in the 1st round was how much this reminds me of the powerful and flavourful Hampden 2010 Jamaican single rum…. at 68.5%, there are few spirits out there quite so high in alcohol that are still eminently drinkable. Or so I thought… turns out some of the Whisky Ladies had a different opinion! While the Aultmore 2007 is no longer available, the folks over at Master of Malt have a 2009 version for $71. This isn’t the first time we’ve bottled a 5 year old Aultmore for our Single Cask Series, nor is it the first time that whisky from this distillery has shown so well at such a relatively young age. No coincidence there. Distilled in May 2009 and bottled in April 2015, this bottling says “age ain’t nothing but a number”. Other numbers include 65.4, the natural cask strength abv, and 122, the number of bottles produced. 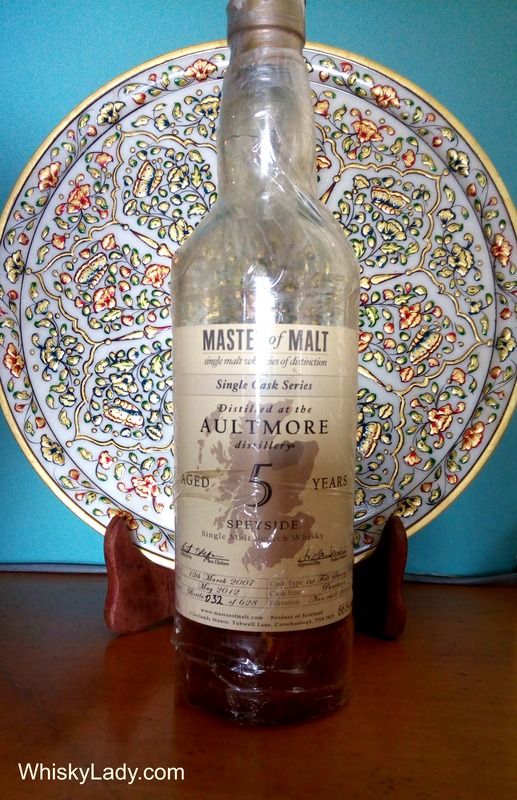 PS – Alas this Aultmore was the victim of a cracked cork… which meant a perfect candidate for an anti-oxidation trick. Our Dream Drams evening in Mumbai with Malt Maniac’s Krishna Nakula, continued with this Mosstowie 35 year from Signatory Vintage‘s mature cask strength series. 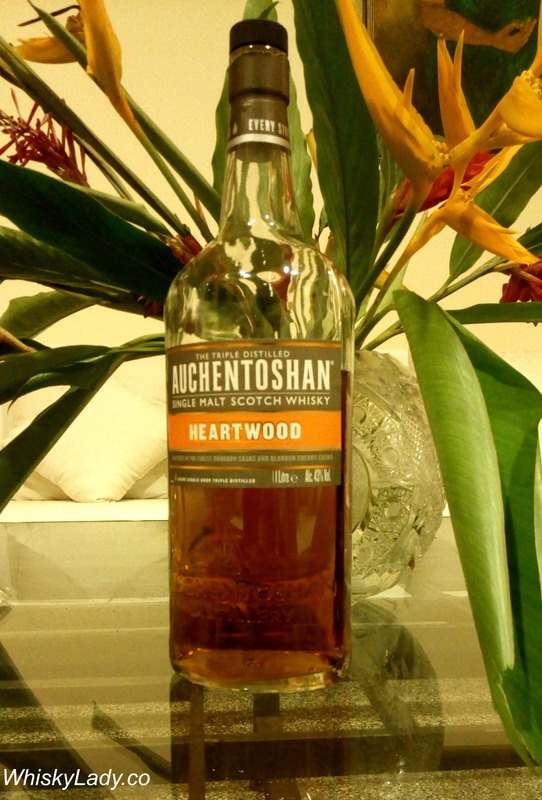 Krishna shared the distinctive feature of this whisky is it was produced using Lomond stills. Founded in 1964, it was “closed” in 1981 with the Lomond stills removed from the Miltonduff Distillery. These stills were built in the 1960s with the idea of using the 3 adjustable rectifier plates to play around with “the position and temperature of the plates the reflux of the ‘boiling’ whisky could be controlled. The angle of the ‘lyne arm’ at the top of the still could be modified as well to influence the character of the whisky further.” (Malt Madness) The thinking was this would produce exactly what blenders needed and hence would be in demand. However this innovation fell into disfavour as the maintenance and cleaning was very labour intensive. And more importantly, the demand from blenders did not come close to expectations… Hence while the distillery Miltonduff remains, you won’t find much Mosstowie single malt these days. Nose – We were greeted initially with sweet varnish, then as that subsided, citrus creamy spice took over, some star anise, lots of oriental spices, sour cherry, cork, fermented sour dough starter, desiccated coconut, kopra, nuts… there was a ‘bourbonesque’ quality, with old wood furniture… one even suggested smelly socks! We concluded this whisky had a very interesting complexity. A wee sample bottle of this made it home and was revisited a few weeks later. If anything, it was even more exceptional. Nose: Oily toffee, marmalade, vanilla, ginger and cocoa. 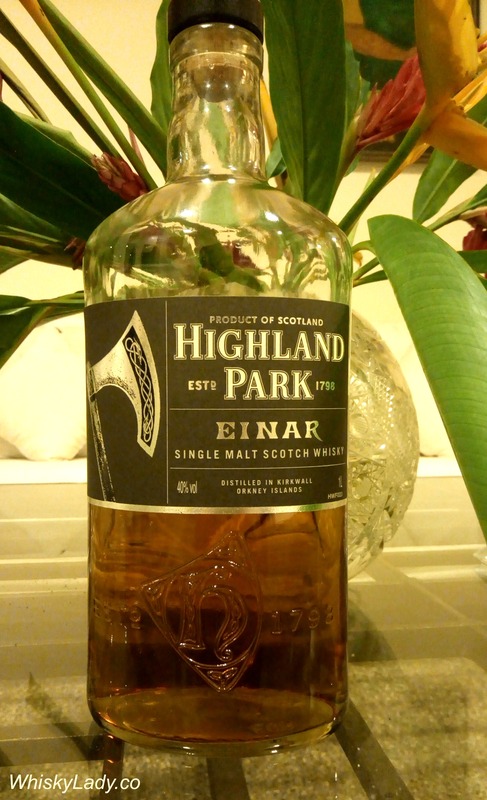 Palate: Smoky wood spices and honeycomb with touches of menthol and kumquat. 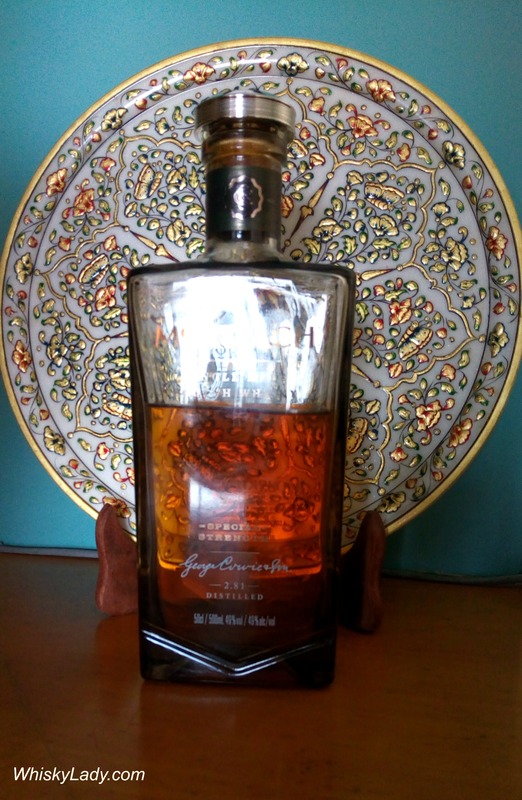 This bottle was purchased at The Whisky Exchange in London in 2016 and is no longer available through them. 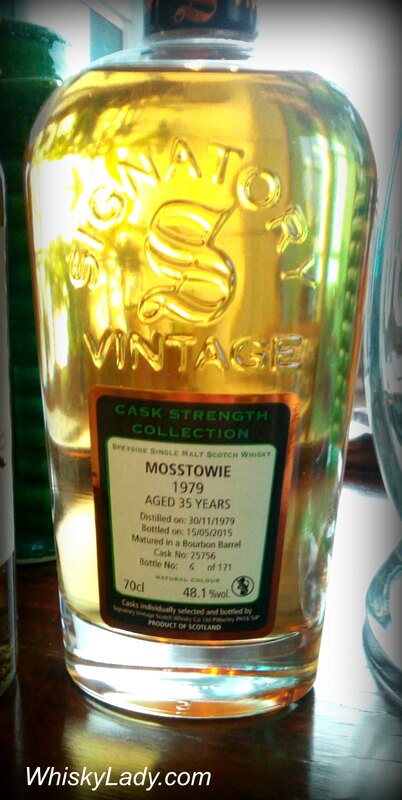 However it was last seen on WhiskyBase.com for € 429.50. What else did we sample?